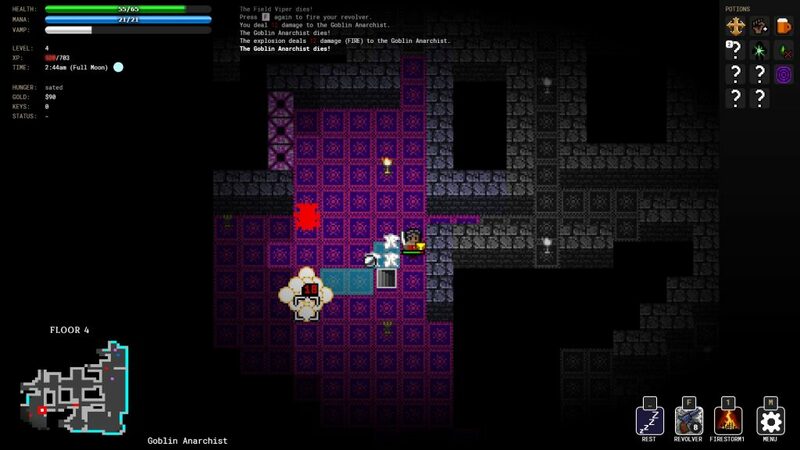 Golden Krone Hotel remains, to my mind, the most accessible entry point to Roguelikes I can currently think of. And it’s interesting how intuitive a lot of it can be, when it’s streamlined. So let’s talk about this a wee bit. The story, like the game, is simply presented: Vampires and Humans lived in relative harmony until a great war happened. Today, things have kind of settled down, and the main troublemaker, Prince Fane, has been exiled far away, to the Golden Krone Hotel. Such a shame you, General Sorin Arobase, have a bone to pick and a curse to break. As the general (and noted assassin and master of disguise), you enter the hotel. How you enter the Hotel is up to you. 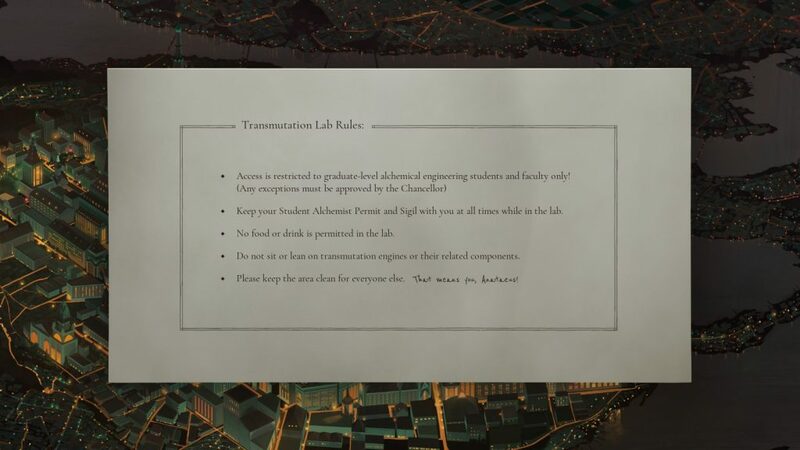 See, part of the reason you’re there is because you got bitten by a vampire, so you can enter as a human, a vampire, or, if you’re really ballsy, a werewolf. And you don’t have to stay that way. Potions can keep you human (or temporarily make you human), turn you into a vampire… Or the usual things of healing, exploding, blinding, antidotes, and the like. So, how is it accessible? Well, first off, everything is visually clear (Except in darkness, which… Well, it’s dark!) 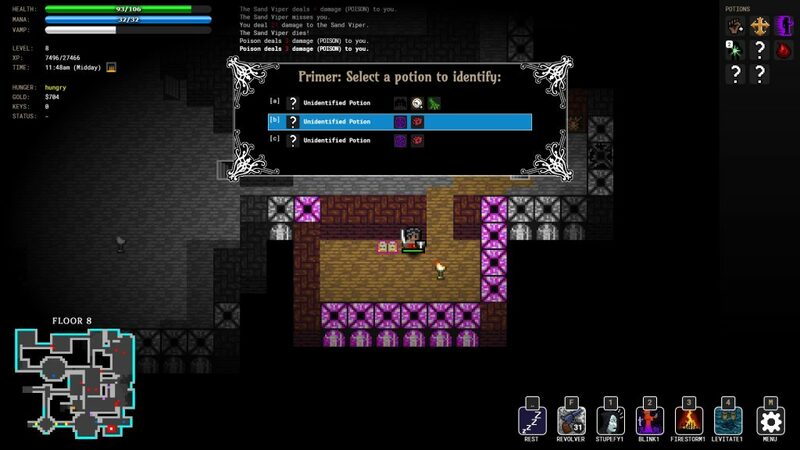 Controls are simply and clearly presented (Space for wait/rest, arrow keys for movement, click on potions to use them, T for talk, and so on) Inventory management is entirely down to potions (I have yet to have too many potions) and spells (Humans can cast spells, vampires… Not so much. But humans are limited to four spells at a time.) If an item is better, you just equip it. If it isn’t, you resolve to sell it. Easy as. Similarly, everything can be looked at with a right mouse press. Want to know how close you are to becoming a vampire? Well, there’s your bar marked “VAMP” , slooooowly filling. Thankfully, monsters like this Goblin Anarchist, once you identify them, won’t be blowing you up unless they catch you by surprise. 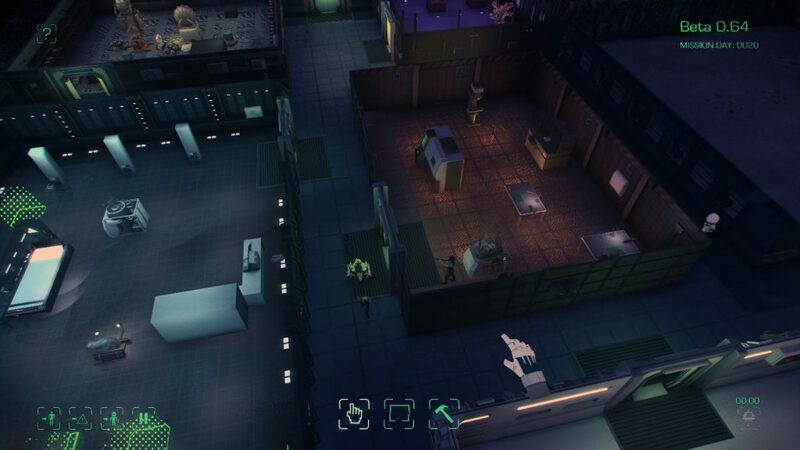 Turn-based, clear visuals, clear controls… There’s a lot to like here. Is it tough? Well, the first few floors aren’t, it’s very rare I die on the first few floors. But once the gloves start coming off, yes, it gets tough. It’s kind of hard to begrudge this, though, because with almost everything, the cause of your death was quite clear. Here, you drank too many teleport potions in a row, and ended up in the Maelstrom, a hellish dimension that changes around you. There, it’s because you let yourself get surrounded. How much time has passed? Oh, half an hour? Well, let’s get right back in there! In the end, Golden Krone Hotel is easy to understand, quick to play, accessible, charming, and affordable. Nice. I’m somewhat grateful that I don’t need a heck of a lot of context for the Ys games, because there’s a lot of world throughout the series. A lot. Thankfully, one of the first nice things I can say about Ys VII is that, like others, while you’ll get a couple of references and extra context by playing previous games, each Ys game is self contained enough that you don’t need to. Ys VII is an action RPG in perhaps one of the purer senses, in that a gamepad is useful, and fighting is mashing the hell out of buttons, dodging, blocking, all in real-time. One button for main attacks, four for specials, one for block, one for dodge-rolling, and one for ultimate power. Easy to understand, somewhat twitchy to play. 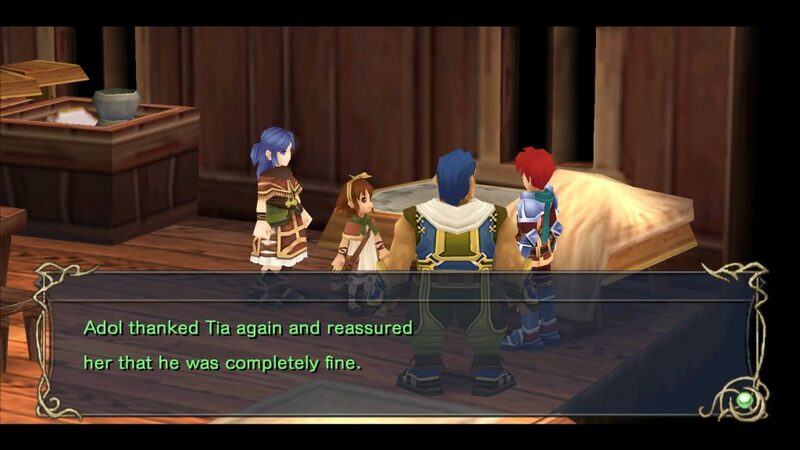 In this particular installment, you play Adol (Who has a bad enough case of protagonism that he is the only character to explain that he is okay rather than just saying “I’m fine”) and Dogi, heroes of a couple of previous Ys titles, as they get embroiled in dangerous and momentous events on the isle of Altago, home of the Five Dragon Gods. 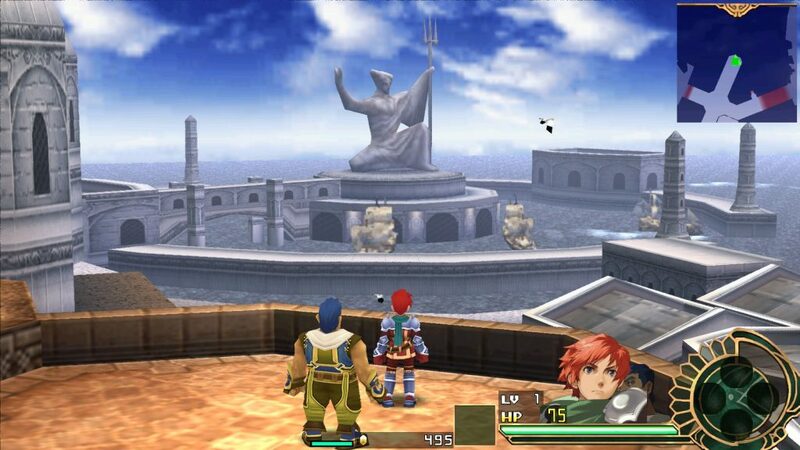 Originally a PSP game, the port is fluid and easy to play, with the only major sign that it is a port being the save menu. As such, I’ve been enjoying myself immensely, whacking the hell out of monsters, getting and solving quests, and fighting… Titanos. Effectively, the rough way it goes is this: You get a plotquest, maybe some sidequests if you actually talk to the NPCs (Even if you don’t do this for quests, the dialogue is occasionally interesting, and the world seems quite alive, so I’d recommend it), make your way through the overworld map, fighting as you go (Or, if you can’t be assed, dash-dodging your way past everything… Although this means you miss out on XP, gold, and resources used to craft better gear you’re probably going to need) to a dungeon, solve a few puzzles, and fight… Titanos. A boss by any other name is just as pattern based, and just as bossy. Giant beetles, boars, and stranger creatures abound, and honestly? Screenshots, unfortunately, don’t do justice to how smooth and quick this is… Or how boned I am about to become. These are the real skill-gates of the game, compared to the enemies. 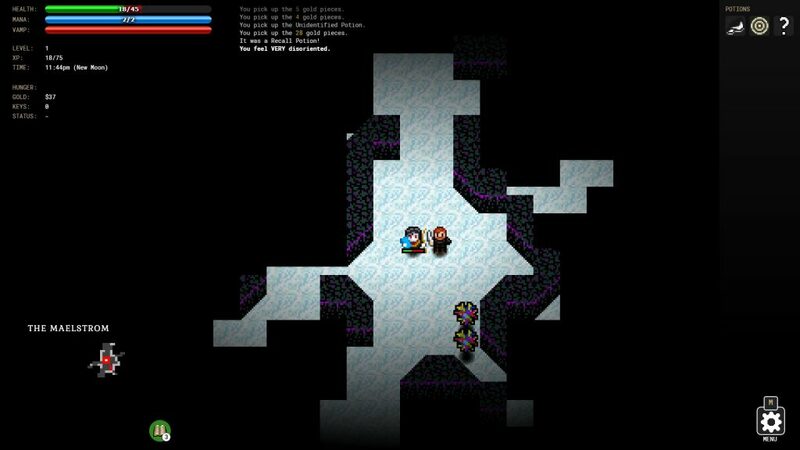 Until later in the game, yes, enemies have attacks. They give conditions. They have defenses. But they also generally go down to a sustained assault, which is exactly what you and your AI companions are probably doing. Titanos, in the meantime, are definitely both the more intriguing and frustrating end of things. Zeran Fith, the giant beetle, for example, won’t be taking much damage at all until you knock the armour off his legs, letting his almost chameleon-like sticky tongue out and giving you a proper chance to wail on it. And there’s a fair amount it can do to dissuade you (terminally) from this. Turning quickly, webs spit out, poison is shot, prawns with fiery bubbles are summoned… I died twice to Zeran Fith, and he’s only the third Titano you encounter. Thing is, though, even coming out of that sweating, I’ve been having fun. Every basic mechanic is explained clearly, the world is interesting, the music good, and the world is beautiful. The rock-paper-scissors of bludgeoning, slashing, and piercing damage versus various enemies is clever, encouraging me to get to grips with every character I play as, and each one definitely has character. Adol is perhaps the most generic (Heck, it’s even joked about with that third person narration), Dogi puts his all into what he does (Which, in the overworld, is punching the hell out of armoured enemies), Elk fluidly and rapidly wields his dual bladed staff, almost dancing. And these are just the earliest examples. Adol thought he should really stop speaking in the third person. But nobody else seemed to notice, so he carried on. Honestly, there’s not a lot I have to moan about here, because even death is a case of retrying from the start of the fight or loading a save (A quick process), and the experience, overall, is fluid. The writing’s solid, the game’s solid, the difficulty curve is actually pretty good (This is an RPG where Normal difficulty really does mean “To an average player’s skill” , which is very nice.) The only flow breaker I’ve seen is using potions and items, which, due to limitations of the original platform, is effectively a pause menu. 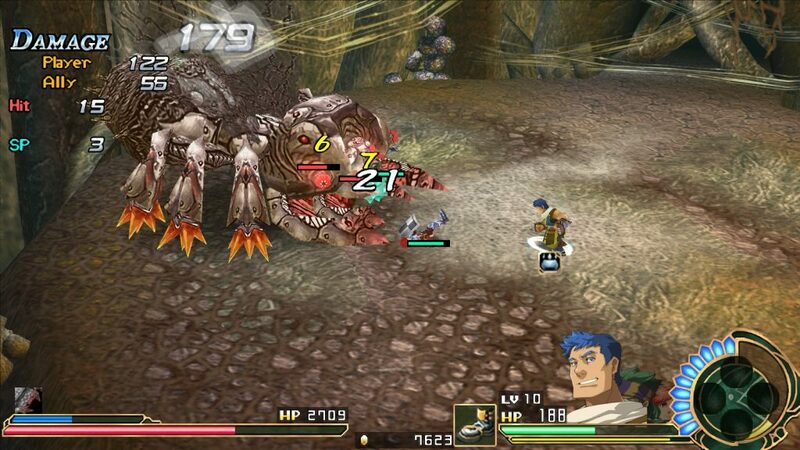 Overall, a good action RPG, well worth its price, and well worth a look. 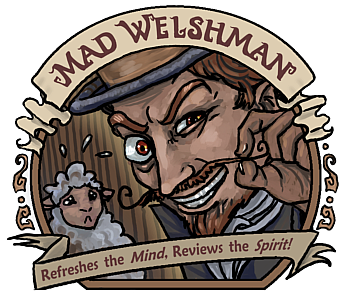 The Mad Welshman only speaks in the third person for effect, or when he really, really wants to close a conversation. 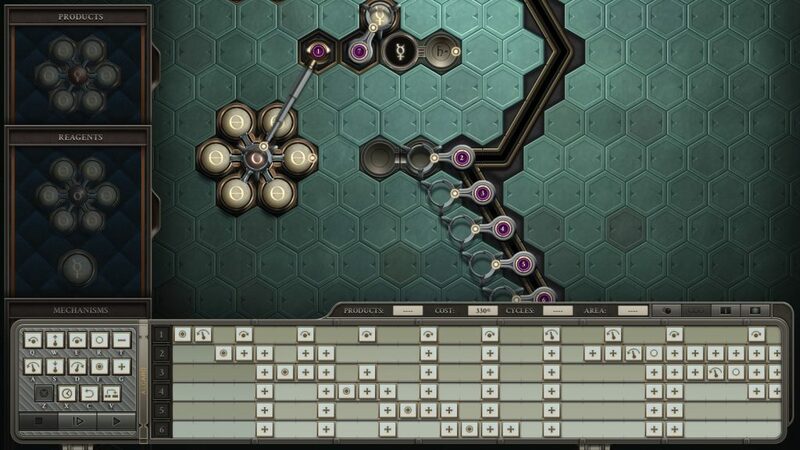 Opus Magnum is, as you might expect from a Zachtronics game, clever, mildly frustrating at times, but overall very good if you like puzzles that use programming logic as their core element. This time? The logic of an alchemical machine, used by a recently graduated alchemist who very quickly gets way, way over his head. Solid stuff. Anateus, as you might have guessed, is a slovenly genius. Sometimes, this is more restriction than anything else. The robot arms (your means of manipulating the elements) can’t be programmed until you place your element sources and the output down, and no, these sources are the sources you have to work with. Move them around, shuffle them for optimisation, but when it gives you one Water Sphere, and you have two waters to bond, then you just have to deal with it… And it’s fun to do so. This took about an hour to program (including checking everything), and was slow, expensive, *and* taking up a lot of space. Don’t do this, kids. Finally, there’s the negative reinforcement. The more complicated the machine you’re making, the more it costs, the more area it takes up, and the longer it’s going to take to program to work right (Although I really do feel a “Start from a certain place in the program” option would help there.) Two of those are things you’re scored on, compared with other folks… And this is the other joy of Opus Magnum… Different designs having different efficiency, efficiency that often comes at the sacrifice of other qualities. The game makes this pretty damn easy to make these designs, with multiple design saves per puzzle possible, so for some puzzles, I have designs that are quick (because I threw lots of arms in… Arms can overlap, even if collisions with their bases is not allowed. This is a useful tip) , and for some, I have compact and cheap (but sloooow) designs. Somewhere, you’re going to compromise. The ability to make your own puzzles, puzzles not related to the story, but part of the world, a little side game… There’s a fair amount to Opus Magnum, and all this, combined with the good music and visuals? 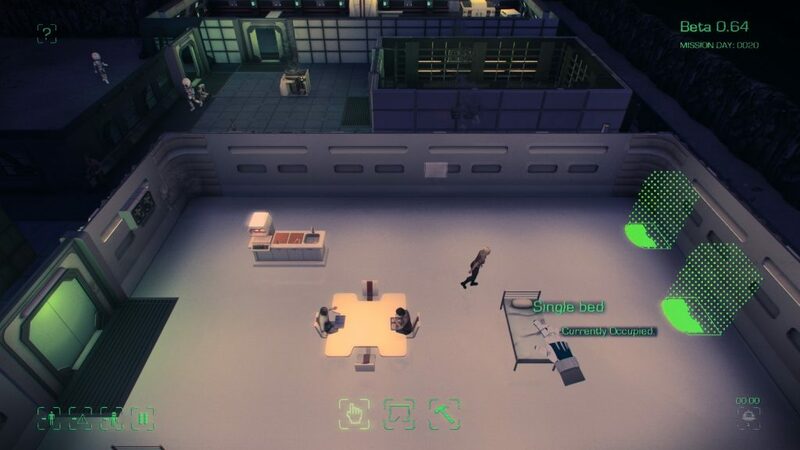 Makes it a good choice for folks who like puzzle games with a bit of bite. I would also recommend this to folks who liked previous Zachtronics games, but… Well, they probably already have it. While it is in Early Access, the game is pretty much complete, save for balancing. 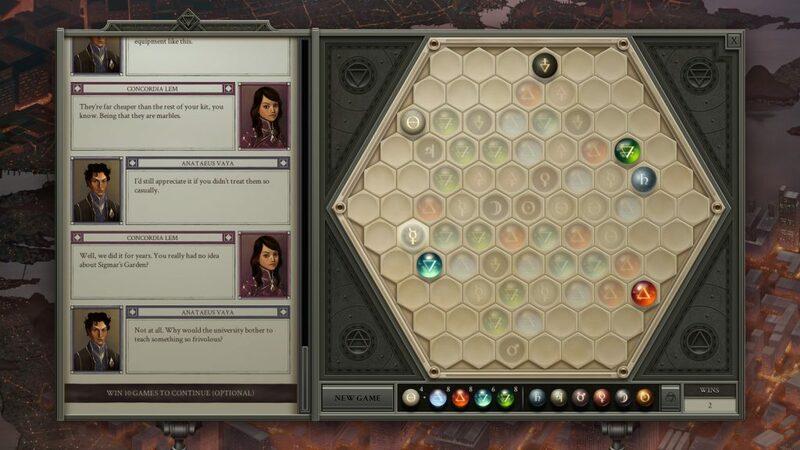 The side-game, an interesting take on matching puzzles, with commentary by the two main characters. The Mad Welshman likes the GIF record feature. It lets him gloat when he has a reaaaaally good machine. Or horrify people with overly complex creations. That too. 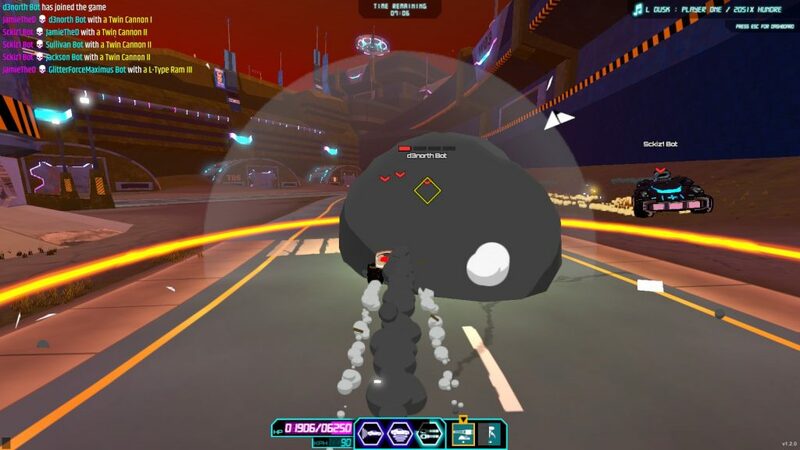 Auto Age Standoff is a game I foresee playing quite a few bot-matches with. Not because it’s a bad game, but due to the simple (and sad) fact that not every multiplayer game gets a playerbase. And, for all that Auto Age Standoff is, at the time of writing the review, a fun multiplayer game, and one with the much needed feature of playing against bots (and challenging ones too) when, say, nobody’s around to play, it is also a game that needs more players. Also, it’s a game that nails the aesthetic it’s going for. Oh, yes. Puns. Those too. What aesthetic is that? Saturday Morning Cartoons. Cheesy theme song? Yup. Bright and clearly cel shaded? Yup. Colour coded factions? Yup. Villain who possesses not just one name that makes you question their life choices, but two? Oh, hi, Bonecrusher who is now Dark Jaw, leader of the evil Jawlings! So yes… In the far future, SAIGE, an AI who helped preserve the civilisations of the wastes, is being hunted by Dark Jaw, so he can RUUULE THE WORLD AHAHAHAHAAA! Er… Sorry, villainous side showing a bit there. 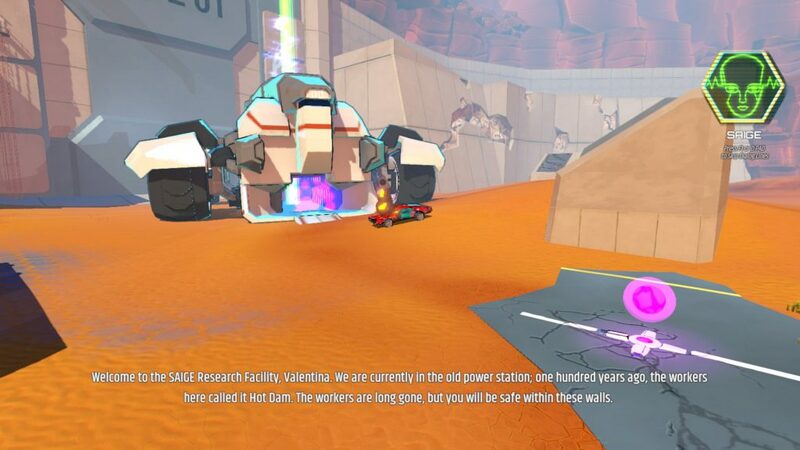 Anyway, she recruits a courier called Val Vega, and… Well, there’s more implied in the world, like the missing (in universe, but playable in game) S-Force, the Jawlings, and the like, but beyond the tutorial… Well, that’s your reason for fighting in arenas in bright, team colour coded vehicles. This, by the way, is the part where I get a bit sad more people aren’t playing this. Why? Combat is quick and chaotic, but most of that is movement. Targeting is automatic at the right ranges. Honestly, it’s fun. Vehicles each come with one special ability according to their type, such as Medium vehicles having self-repair, and Heavy vehicles coming with a ram damage booster auto-equipped, different secondary special abilities can be added (like auto-tracking turrets or drunk missiles), the handling is different enough that you feel it, but not enough to make anything but a tower feel like a brick riding on other bricks, and you can be really, really mobile. Okay. Consider this for a second. Boosting into an enemy car. They get knocked back, you back up a sec, power forward, then… Jump and shoot them from above. Yes, these cars have jumps, boosts, and, with a good run up, can basically flip. Even if you do end up on your roof, flipping is quick and easy. So yeah, it’s pretty fluid, and the AI is fun. 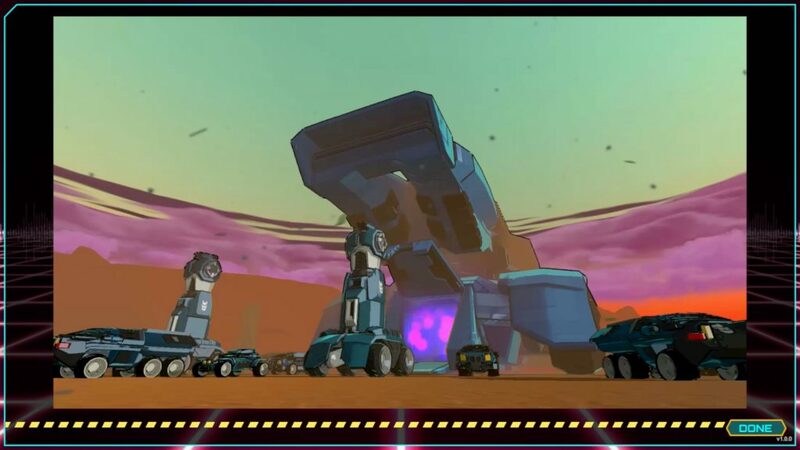 Essentially, if you want something cool and multiplayer that you can play with friends, and practice with bots, Auto-Age Standoff is pretty fun. Sure, it could do with more SatAm cheese than the tutorial provides, but honestly? The developers are adding new maps with each update so far, the 8 maps currently in provide a fair amount of variety, and I’m okay with that. Jawling Towers. On the one hand, very easy to topple. On the other, they have some *serious* weaponry. MAIA remains a Very British Game. What do we do when we have to concentrate on power, oxygen and food generation, and our colonists collapse? Why, we call down another one, every ten minutes, until the bally problem’s solved! Hurricanes? Oh, we’ll bunker down, we’ve done this before, and it’s not like we need all that oxygen right now. Or cooking. Or light. Twelve earthquakes in a row? Anybody dead or anything damaged? No? Well, carry on then. 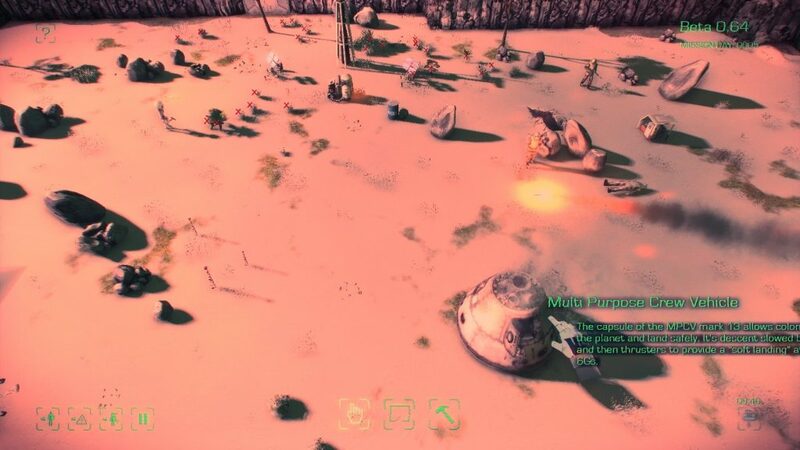 Since animal-proof locks were considered surplus to budget requirements, yes, the native flora can and will invade your base. Thankfully, *nobody* is truly defenseless. …Well, they can be helpful. You’ll quickly spot the middle manager types, because not only don’t they do much, they have this tendency of calling for meetings or wanting to suggest plans. Meanwhile, others will try to make the IMPs (Your friendly mining droids) sentient, work on improving heat insulation, offer to set your crops on fire to solve a crop infection… And some of this, among other offers they make, are legitimately helpful. They even write nice little haikus and strange ambient tunes, when they feel like it. Despite a sometimes slow pace to the game, I legitimately enjoy MAIA. It’s got a clear aesthetic, and due to the fact that, barring something that wipes out all your colonists within a 10 minute window, you can come back from disasters, it’s also a fairly pleasant ride.